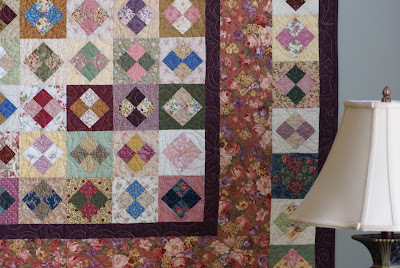 I am very happy to once again be participating in Bloggers' Quilt Festival hosted by Amy's Creative Side. This time around I am sharing my "Sarah Ann" quilt (named after my daughter). This is not a new quilt. 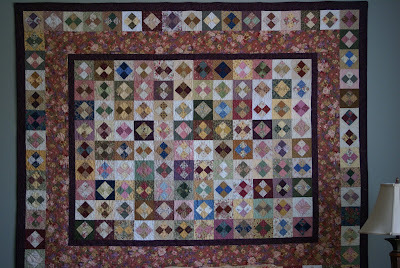 I designed and made this quilt eight years ago choosing scraps in groups of three matching fabrics for each of the individual blocks, then randomly sewed the blocks together without worrying about colour placement. That was not so easy for me - I tend to plan and organized even my scrappiest quilts. Thanks Amy for hosting this great event. Click on the button to visit all the other entries in Bloggers' Quilt Festival Spring 2012. Just a gorgeous Scrappy quilt ! Wonderful! 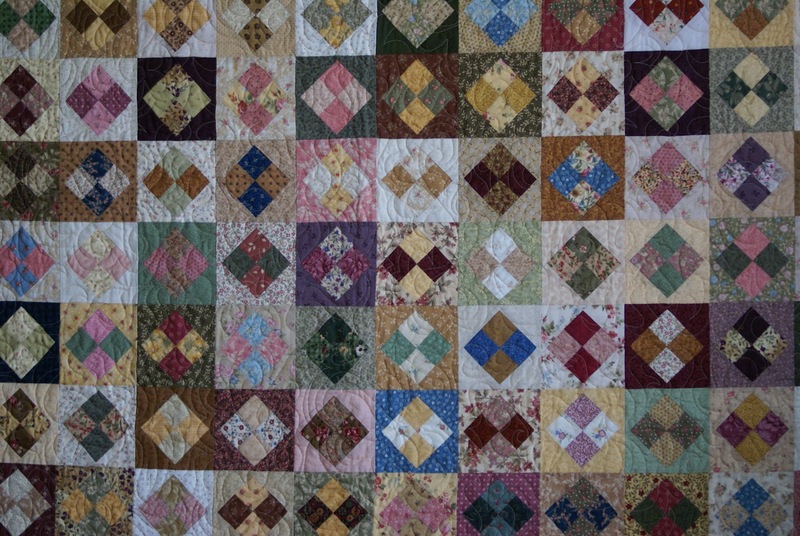 I love scrappy quilts. 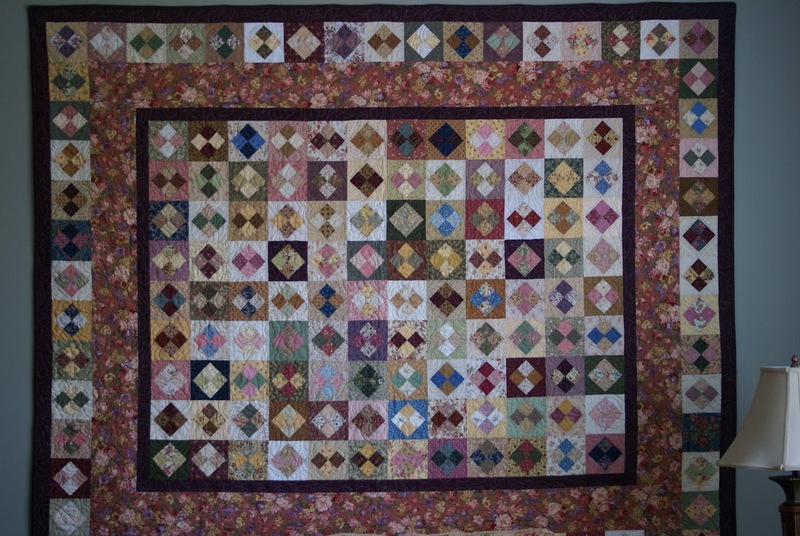 What a great scrappy quilt. I have a bunch of 4 patches and this might be the perfect thing for it. I'm like you with the scrappy quilts, the randomness is a bit unnerving and I tend to organize them more than what I should. Your is absolutely stunning! Lovely quilt! I love your design!